This popular ''Create'' plan is a true one-of-a-kind home with a kitchen that is designed to give you maximum entertaining space. In addition it has the Shea Zero PRE-PAID Solar System that averages only $20.00 a month! The upgrades are endless and it looks and feels like a model home that includes 2 master bedrooms for those family and friends that come for a visit. Additional 3rd bedroom and full bath too. Stunning tile work is in all of the right places. The backyard is what you would see in magazines. The outdoor space is perfect with water feature, pergola shade structure and stone pavers. Be sure to check out the extra attic storage space too! 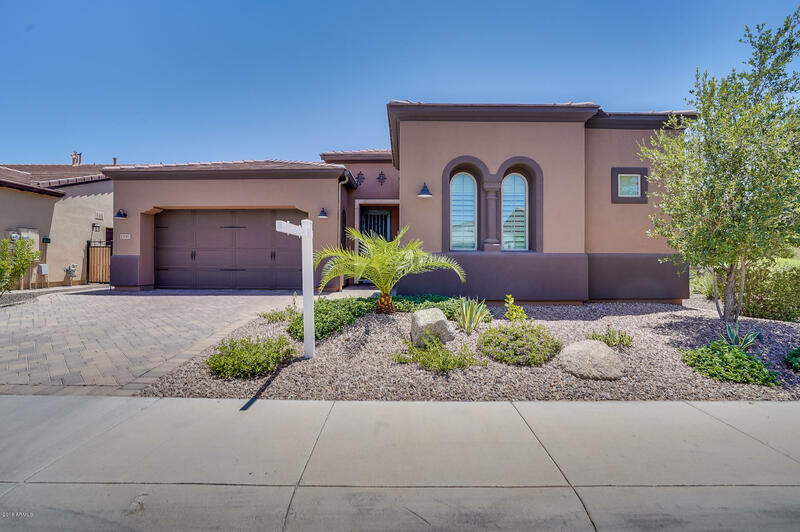 This home is perfect for living the Encanterra lifestyle you deserve!